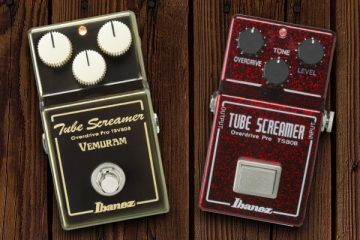 The SA series is one of the more smaller blips on the Ibanez radar, but the fact that it is often overlooked is quite tragic. Through the years the SA series has had some of the most unique finishes and trimmings Ibanez have ever offered, not to mention the incredible playability Ibanez are known for. Before we go any further, we have to address the elephant in the room… the tremolo. It’s as divisive as it is legendary and many can’t stand owning a guitar with one. I’m not one of those people, but 9 times out of 10 I’ll prefer a fixed bridge. I was shocked at how nice this tremolo system is, very comparable to the system on my Ibanez RGD2127Z. 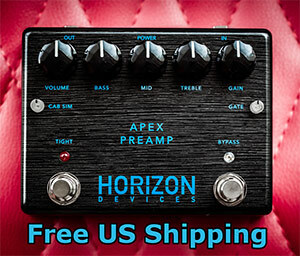 The response is smooth and even and even features the easy-adjustment system in the back of the instrument, allowing you to turn it from a completely loose trem that dive bombs at the mere hint of pressure, to a faux-fixed-bridge for added tuning stability and double stop bends until the cows come home. Ibanez have advertised the SA series as being phenomenally versatile, and their choice of features on this model certainly back up that stance. 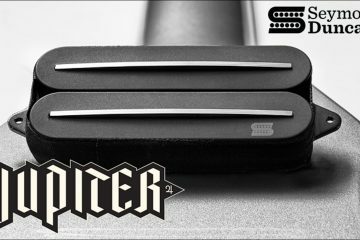 The bridge pickup features a tried-and-true Seymour Duncan JB high-output humbucker as the foundation of its tonal pallet. The legendary mass of metal and wire that is the JB can carry this guitar from punchy rock rhythm tones to high-gain metal with ease. In fact, rock rhythm tones are really where this guitar shines thanks to the industry standard Les Paul-esque combination of a JB and a Mahogany body. The low end “oomph” of power chords and palm mutes feel freakishly like my Les Paul Studio, but with a touch less low end resulting in more clarity and tightness. To round out the tonal pallet of the SA1060 Ibanez have employed the pristine clean tones of the Seymour Duncan Vintage Flat single coil pickups in the middle and neck positions. These are some of the cleanest, lowest output pickups Seymour Duncan offer, giving you sparkly and spanky Stratocaster-like tones with enough treble to stay clear and articulate under heavier amounts of gain. It may seem obvious that this pickup combo offers unparalleled versatility, but what takes it to another level is the 5-way pickup selector giving you nearly every pickup combination you could ask for. My personal favorite position the neck and middle pickups together, taking that nice Stratocaster articulation but layering it with a bit more low-mid chunk. The cleans are pristine with the single coils and the high gain work is thick and aggressive as we all know the JB to be. 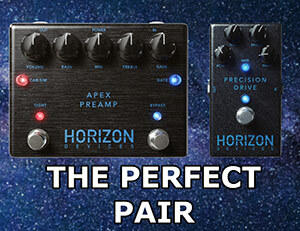 To say that this guitar can replace your Les Paul, your Stratocaster, and your super-strat would be a stretch… but to say that you couldn’t do highly convincing impressions of each without unplugging your patch cable would be just as foolish! When the Premium lineup was first released I felt a little betrayed, honestly. To me, they felt and played only marginally better than their budget line, with more interesting aesthetics to justify the price tag. In the past 3 years, I’ve had all of those opinions completely shattered repeatedly, most notably with the recent release of the Ibanez RG6PCMLTD which received a 9/10 from us! When any company releases a more budget-friendly lineup with all sorts of aesthetic enhancements only seen on expensive instruments, I immediately expect their construction and implementation to be poor. In this case, I was also quite incorrect. I couldn’t find anything in the way of finish issues, bits of glue, etc. My biggest gripe is the fret ends not being quite as nice as they could be. 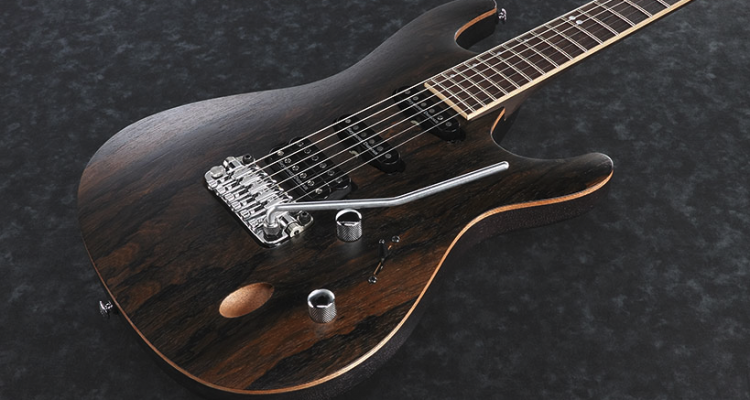 They are far from sharp, but certainly not what you’d expect from the Ibanez Prestige lineup. I wouldn’t go so far as to take them to a guitar tech to have them “fixed” as they don’t require fixing, but the next time I’m considering a fret dressing/crowning I’d probably add fret edge treatment to the bill. The playability is certainly there despite the fret issues. Straight from the factory there were two frets that seemed to be buzzing quite a bit, but after a very quick adjustment, they disappeared entirely. The neck profile feels similar to that of the signature Wizard necks but with softer shoulders, giving it a more even feel from string to string. To be completely candid, I think I prefer it to the Wizard II and III! If you’ve read any of our reviews, one common feature we look for is something that’s hard to describe, but essential in the feel of an instrument. It’s the feeling that the guitar is one piece, not multiple parts. It feels cohesive, it’s weight is balanced well, there are no loose parts, it has to feel like it was always meant to be a singular item. This guitar has that quality for me, which is an absolute deal-breaker and the mark – to me – of a poorly constructed instrument. I went into this review unsure of what I would be playing. Past experience with Premium’s had been a disappointment, but more recent meetings had been completely contrary to those experiences. I think I can safely say that my skepticism about the Premium lineup has been entirely erased from my mind after sitting down with this masterpiece. It’s hard to find flaws in this instrument but if I’m being picky I’d have to say that building a guitar to be versatile without including additional pickup options (such as coil splitting, parallel wiring etc.) seems a bit lazy. It wouldn’t take much to add a coil split to the humbucker. The good news is that you can do this yourself without your wallet taking a hit. 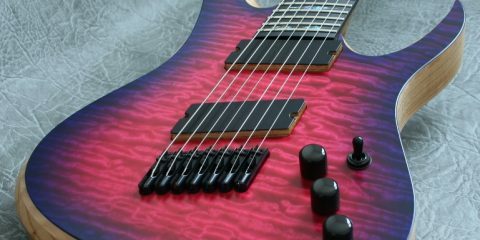 Lastly, if Ibanez were to add the coil splitting option for the humbucker I would’ve liked to see a more modern-voiced pickup that can really take it into the modern and progressive metal territories when not split. The JB has its storied rock reputation for good reason, but adding something with a bit more clarity and tightness such as the Seymour Duncan Pegasus, which we found to be quite like the JB but with less low-mid, increased clarity and snappier pick attack. Using gorgeous looks and incredible versatility without sacrificing the features Ibanez is known for, this is perhaps one of the best instruments in the Ibanez lineup right now. If you’ve been sleeping on the SA series, I highly suggest you stop hitting “snooze,” grab yourself a coffee and wake up before they’re gone.